I am totally annoyed with myself. I made a hat for my friend (The Odessa Hat by Grumperina) and it turned out cute, but my gauge was off and it was too small. So I pulled it apart (no easy task—there was mohair in it) and started over. I knit the whole hat again, this time big enough to fit my own giant head so I KNOW it will fit hers… and now it’s gone. The stupid thing sprouted legs and ran away. 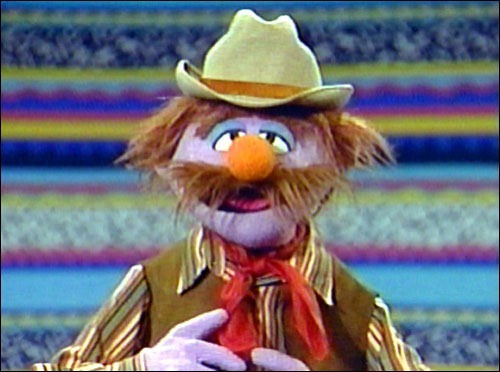 I distinctly remember finishing it on a plane ride, but I can’t find the finished hat. I have been through all my suitcases, looked in every drawer and every nook and cranny where I might have put it for safe keeping. It’s NOWHERE. I have been forced to conclude that I left it on the plane or at my destination. Her head was probably hatless and cold all winter, and now the warmth of spring is here. I fail at friendship. 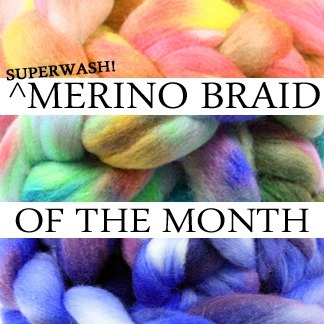 By popular demand: I’m announcing the Superwash Merino braid-of-the-month club! Sign up for the club to automatically receive 4, 8 or 12 ounces of hand-dyed superwash merino top each month. Join by March 31st to be included in the Never-Ending Sale upgrade and receive extra fiber. 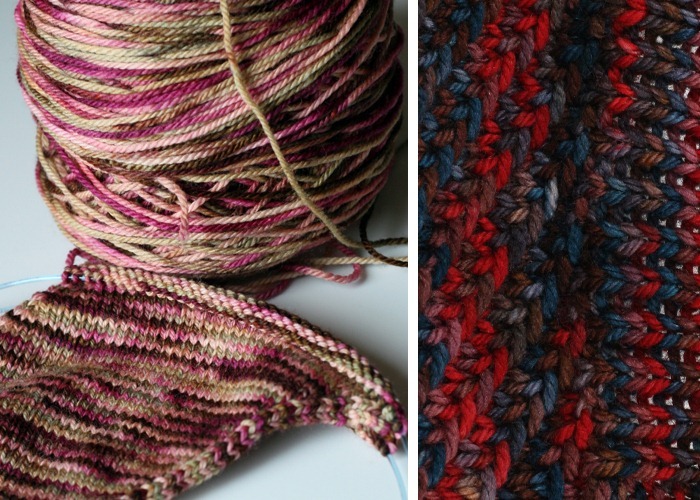 Everyone who signs up for the Gritty Knits Fiber of the Month club in March (4, 8, or 12 ounce) will receive 5, 10, or 15 ounces of fiber. Whoo hoo! Fiber for everyone!